Cheaper than wind | Mothers Against Wind Turbines Inc.
We recently drove from London to St. Louis, Mo. On our drive to Windsor we saw many wind turbines. After crossing the border and driving through Michigan, Illinois, Indiana and Missouri, we saw no wind turbines. I guess they do not need any, since we sell our electricity to them cheaper than it costs us to produce it. send this to the Wynne banditry. 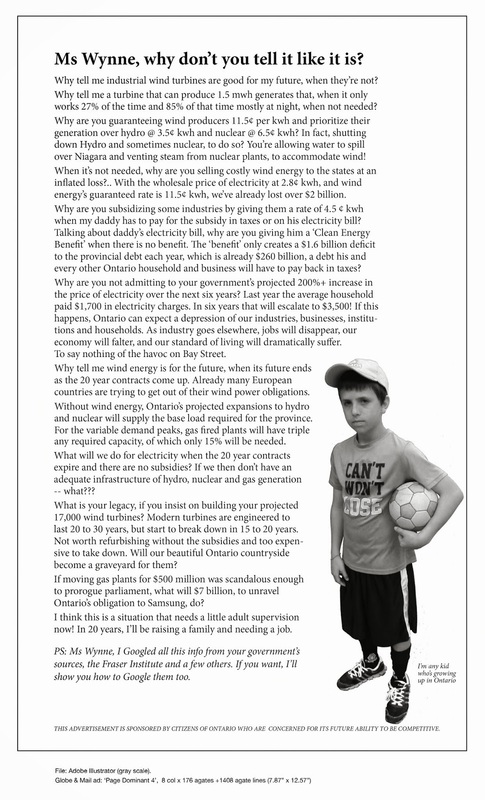 Wynne does not care at all and has plenty of pleas to stop these turbines even at the risk of peoples health and Human rights being taken away. She can stop the projects whenever she wants and won’t. For sure we do and not to mention all the other problems these giants create like in Chatham-Kent with contaminating 14 wells and leaving families with black or no water at all. Lets make everyone pay for greedy big businesses with no remorse. This is not the way it should be at all! !